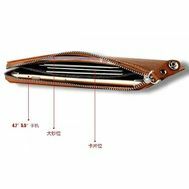 Buy ICARER cowhide real leather bifold long wallet in Bangladesh from Cellsii.com. 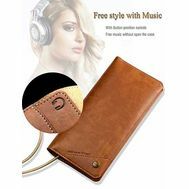 This is classic design original leather wallet which is best fit for most iPhone and Samsung Galaxy. The wallet style leather case stores your mobile phone, cards, cash, coins and other documents that is perfect for daily use. You don't need to take another purse or a phone case in your handbag. It adopts genuine and premium quality cowhide leather with exquisite stitching to highlight fine quality and elegant appearance. Horizontal long style, it can still stay slim after you put cards, cash and phone in. Excellent customer supportEven after the purchase and payment, we provide our best support to satisfy our all customers. Money back guarantee100% money back guarantee. Conditions apply. House: Ga 188/1, Wireless Gate, Mohakhali, Dhaka- 1212, Bangladesh.